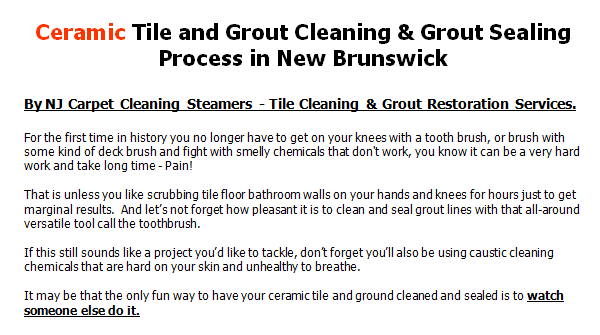 NJ Carpet Cleaning Steamers is a professional, organic cleaning company serving New Brunswick. We offer the following services :Tile Cleaning, Grout Cleaning repairing and restoring as well as and wall-to-wall carpet and Upholstery cleaning services, carpet (both commercial and residential). Also, our expert technicians provide you with fire & water damage cleanup, restoration, and sanitizing & disinfecting, along with an emergency 24/7 flood service. Call us today at 732-298-6202 to speak with our friendly customer service staff about how we can help you. NJ Carpet Cleaning Steamers, New Brunswick Local Choice. 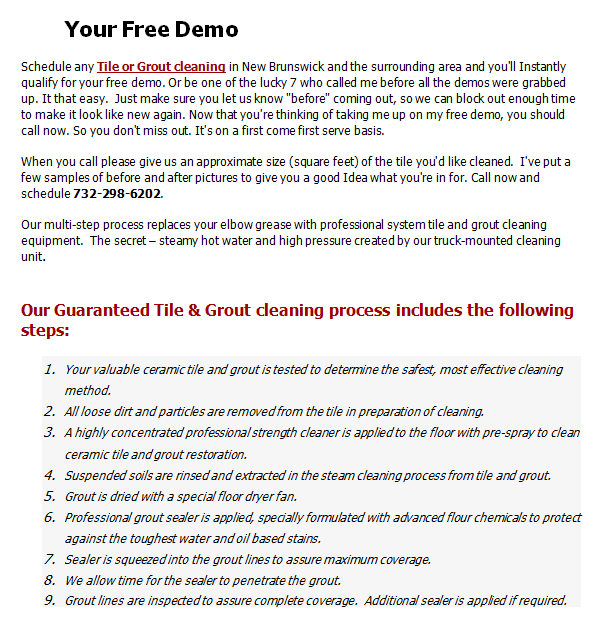 Don’t settle for anything less than AllStates Cleaning Multi-Step Tile and Grout Cleaning & Grout Sealing Process!